South London producer Mokadem made ears buzz last year with her haunting remix of Lana Del Rey’s ‘Gods & Monsters’, peaking at number two on the Hypemachine Remixes Chart and top five on its Popular Chart. 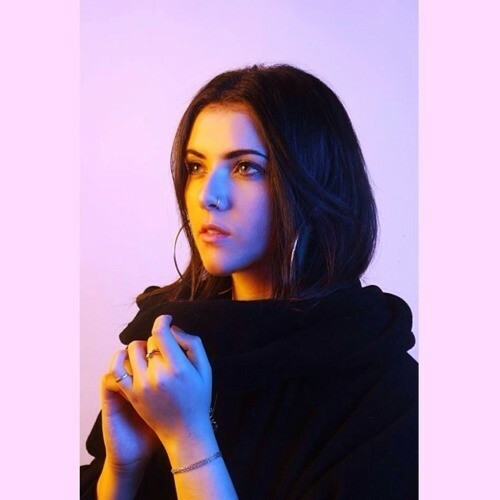 The young producer has already been afforded some great support from the likes of Rob Da Bank (BBC Radio 1) and Lauren Laverne (BBC 6 Music) when her track “You & Her” featured on Melodica Recordings’ ‘Night Bus’ compilation earlier this year. In addition to crafting her own tunes for her debut self-titled EP, which was released last week on Melodica Recordings, Mokadem has found herself in growing demand as remixer. Recently Mokadem brought her distinctive sound palette to White Lies‘ new single, “First Time Caller”, and now she’s produced a remix of Linden Jay track, “Break The Hold”. While a brilliant drum n’ bass remix by Rollz has been circulation for a while, Mokadem too offers a unique spin on the original. Where the original track showcased some smooth, garage-y grooves and soulful vocals courtesy of Ruby Wood, on this remix, Mokadem opts for a minimalist, atmospheric production consisting of just warm, thick pads, and club beats. As showcased in her other productions, most impressive is the way Mokadem contorts the vocals, pitch-shifting them down for the verses to give Ruby Wood’s vocal a soulful masculine quality, while pitch-shifting the vocals up throughout the choruses. During the chorus, Mokadem also adds some percussive keys to give the song a rhythmic injection. Mokadem is quickly creating herself a signature sound and this remix is a further example of that.